The Ranger or Bob, if you prefer has had a varied and interesting background. Originally from Atlantic City, N.J. I served for 14 years as an ocean lifeguard on the famed Atlantic City Beach Patrol. During those years my partner and I were responsible for approximately 1,500 rescues. 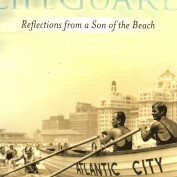 Last December, 2007, I completed a book entitled "Ocean Lifeguard" which as I write this, am trying to have published. I taught elementary school in Hyde Park, N.Y. for nine years, teaching grades 1-6, and having initiated with a fellow teacher, a progressive program that stood for many years after my departure. While living in N.Y., I succumbed to my creative nature and became involved in Community Theatre as both an actor and director. I pursued this avocation for the next 25 years, playing, among others, such diverse roles, as Fagin, in "Oliver," Tevye, in "Fiddler On The Roof" and Charlie Anderson in "Shenandoah." Now you understand my flair for the theatrical. After teaching, my brother and I opened a Seafood Restaurant in Atlantic City, which we ran for four years, eventually moving to Tucson. We duplicated our seafood restaurant in Arizona which we ran until our retirement several years ago. I'm now enjoying my hobbies which include swimming, golfing, karaoke, old western movies and horses. Oh! and also the pursuit of internet marketing, especially in the area of Attraction Marketing.